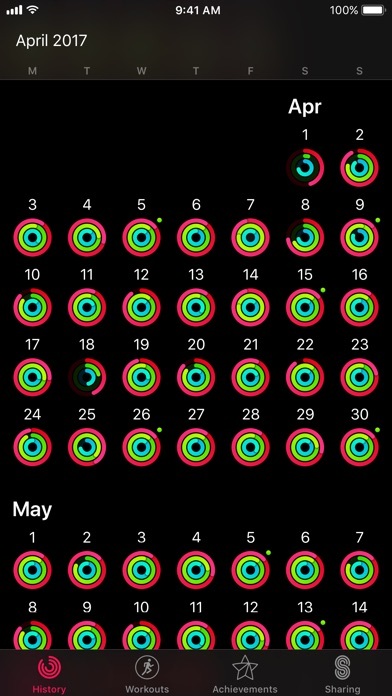 Keep track of your activity from your Apple Watch, including historical progress toward closing your Activity rings and all the important metrics from your workouts. 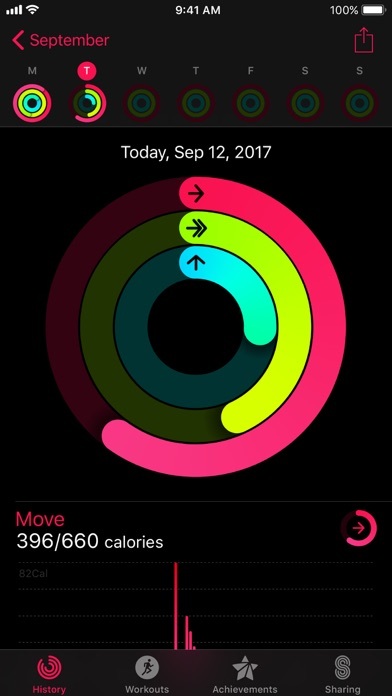 Features • View progress toward closing your Activity rings and see all-day Activity metrics like total steps and distance. • See details for your Move goal, including active calories, total calories, and a visual graph of your calorie burn throughout each day. • See details for your Exercise goal, including exercise calories, total active time, and a visual graph of your exercise minutes throughout each day. • See details for your Stand goal, including number of hours stood and idle hours. 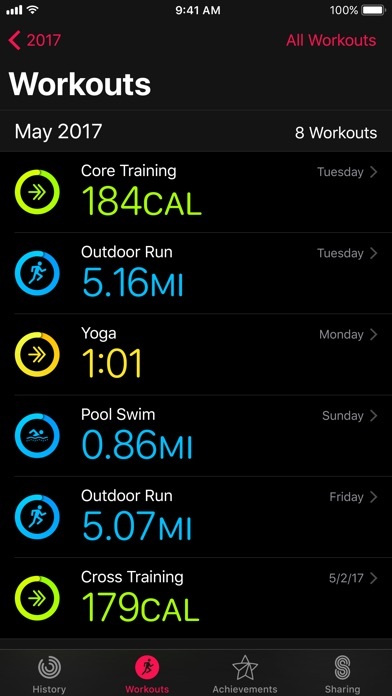 • View your historical workouts from the Workout app or any third-party fitness apps on your Apple Watch. See important metrics from each workout including average pace, distance, calories burned, average heart rate, and more.